As some readers may know, my Uncle is a pretty awesome guy. He may not know it but I am proud to be his nephew. Buried in my email, I found a gift card with credit on it. I turned that into some awesome cards. My favorite of the bunch is a base card. So why would a base card be one of my new favorite cards? It has my Uncle’s picture on it. 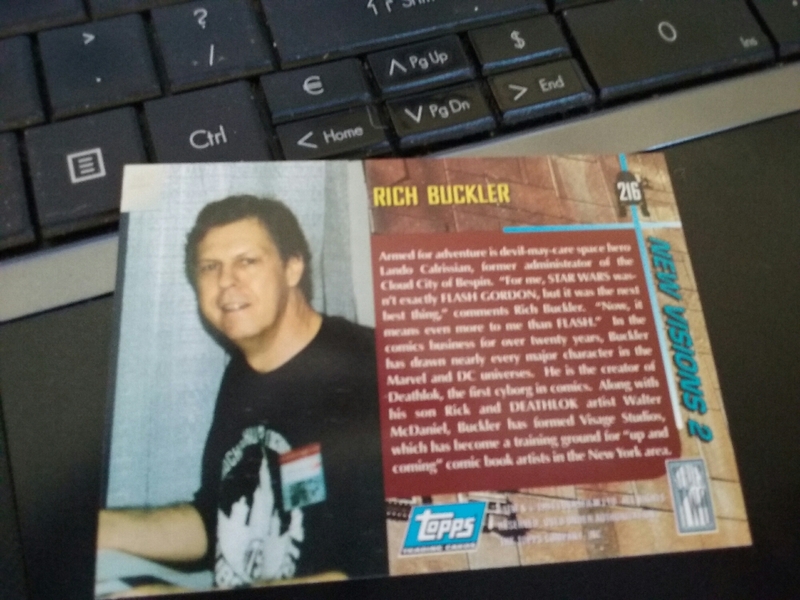 The front of the card also featured his artwork. For a whole $1.60, I was able to get a card that is now untradeable in my collection. I’ll post the rest of the haul later, but I did not want this to get lost in the shuffle. 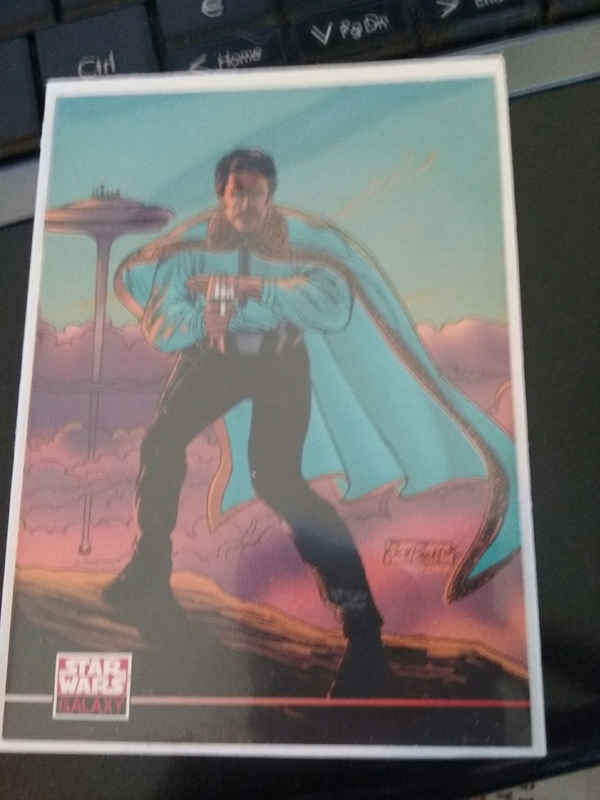 I never cared for Star Wars but Lando is now one of my favorite characters.